From the street at 28 rue Pétrelle in Paris, passersby have little idea what lies hidden inside other than some unusual furniture placed outside with a card attached to the front door which reads; “Please ring the bell, Magdelena Woll receives from 17h to 21h.” Well, let’s go in an meet our mysterious host. Upon entering we find several candles lit and multiple rooms that seems to be left in a hurry. It would seem that a party went on here at some point in time, a time which takes us back into a stylish 1940s Paris apartment. Upon further inspection we learn that this is the place of madame Magdelena Woll, however she is nowhere to be seen. What happened with her, and what happened with her guests? An impressive attention to details makes us want to turn into detectives, the calendar on the desk seems to be quite the read. And more importantly; are we next in line to be be sucked into this Paris ghost apartment? The whole apartment is the brainchild of Catherine Jarrier and Lisa Ternon. Two set designers that goes under the name 2 Soi. 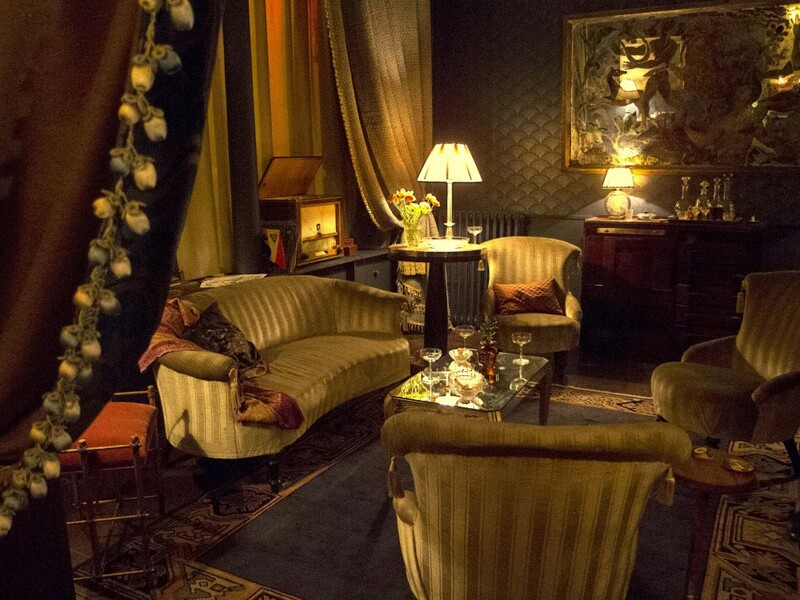 Normally they create sets for the movie industry but decided to create the art project “Vu de l’interieur” (“Seen from inside”) to let people go back into time using their skills and love for details. If Magdelena does not return home, all the objects and furniture will go on sale. Better book those tickets to Paris and claim your favorite object.